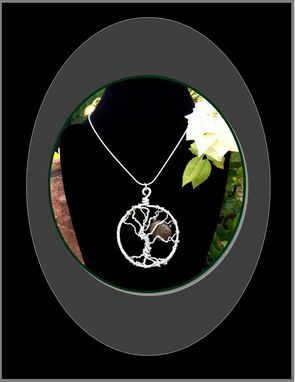 Silver & Natural Stone, Moon Through The Trees,Tree Of Life Pendant Necklace, Custom Designed & Made By Me. Artistic "Statement Jewelry"
All Tree of life necklaces come in a Black gift box with the Tree of life Card inside. 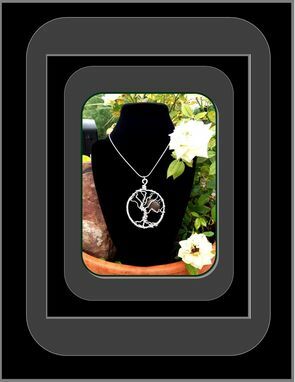 This Tree of life Pendant Necklace is Silver, with a Natural Stone, representing the Moon through the Trees! are custom Designed & created by me. 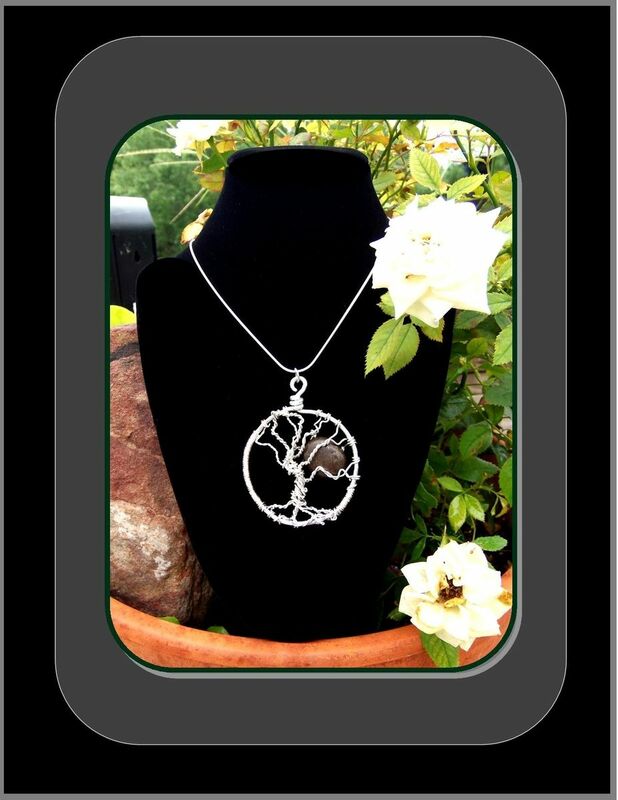 Choose from one of the Variety of styles that I have Created. Your choice of size, gems,pearls or natural. 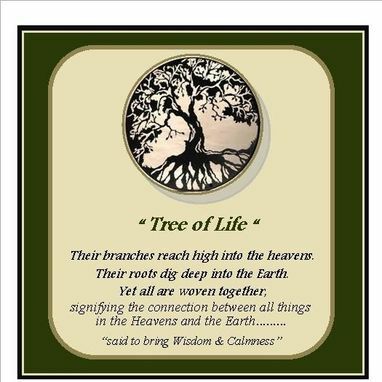 The Tree of Life sybolizes the idea that all life on earth is interconnected. This Necklace is Available with Family Birthstone color Gems! If you want gems of a different color or colors for birthstone, or Mother & Daughter birth stones please message me, and I will make you a Custom Necklace with Gem colors of your choice!